This is the first aviary that Oak Creek Aviaries built. 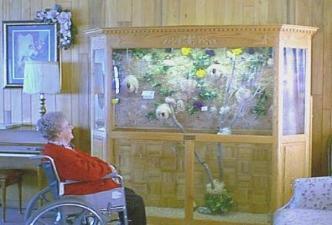 This aviary was built for our local nursing home in 1996 as a gift to the facility. An aviary is a great way to offer pet therapy. Contact with pets has proven to be beneficial to people of all ages. The interaction with the birds will be a benefit to people with limited physical mobility. Try an aviary today to see the many benefits an aviary has to offer! 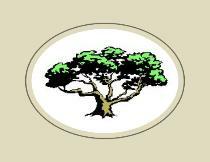 Wait for the video to load to see a quick peek at Oak Creek Aviaries! "A Work of Art With A Heartbeat"
very talented craftsmen and is guaranteed to your specifications and satisfaction. Or call toll free to order at 866-94BIRDS.